The exhibition, Those Northern Lights, So Pretty, is now showing at the Shipley Art Gallery until the 27th October 2018 presenting the artwork produced from the two residencies of Dominic Smith and Toby Lloyd. The artists worked with community organisations to explore Gateshead’s past, present and future. Groups included the Friends of Saltwell Park, Gateshead Clubhouse, The Comfrey Project, Gateshead Youth Assembly and St Joseph’s RCVA Primary School. As well as Gateshead residents and users of Saltwell Park. From these encounters Dominic explored the heritage of Saltwell Park and what it means to local people and how to make people more aware of its history and developed an online game for people to use whilst exploring Saltwell Park, http://thekeeper.online/. 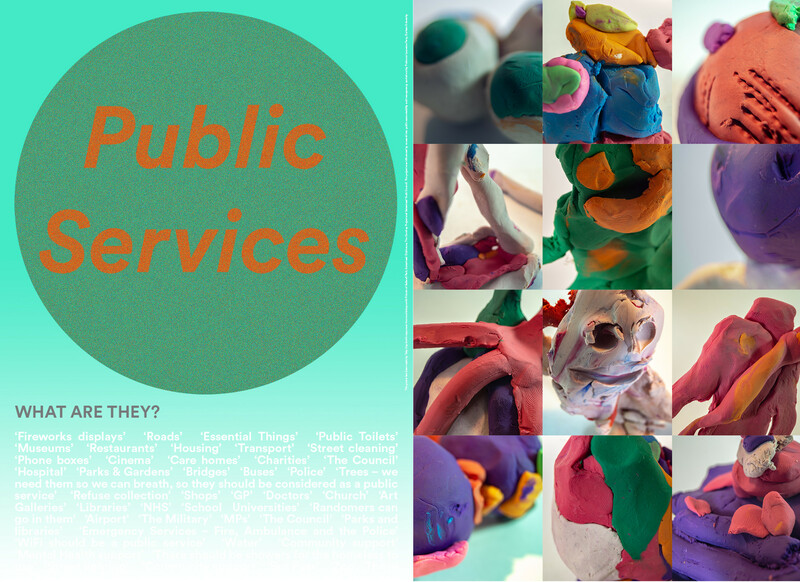 Toby explored the public and private spaces and areas of Gateshead using maps, mono-printing and questions to create six posters exploring what people see as public services. A catalogue of the exhibition with specially commissioned writing will soon be available.